Whytecliff conducted an analysis of graduating student files and records from 2011 to 2017; we also reached out to this group and their parents and former caregivers through a broad range of contacts including emails, facebook, and phone calls. We asked questions about Whytecliff’s impact on their life, whether or not they were working or going to school, as well as the broader current circumstances of their life. A number of former students volunteered deeper personal narratives. The results show dramatic differences (vs. prior schools) in attendance, course completion, improvement in day-to day functioning and positive impact years later after graduation. At Whytecliff children feel welcomed and validated – so they attend. Because there is real community, they are afraid of being missed and missing out. Overall attendance, particularly as compared to prior school attendance, is a valid indicator of community and growth. 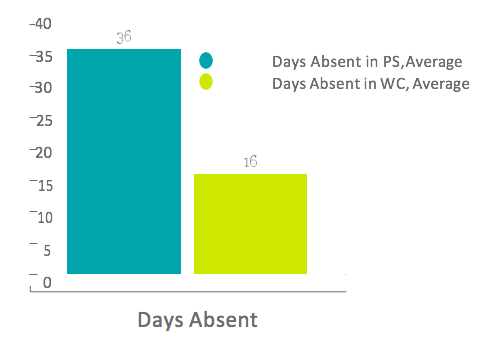 Despite often-adverse living circumstances, attendance – as compared to their prior school – dramatically increases by what amounts to a full calendar month of school. 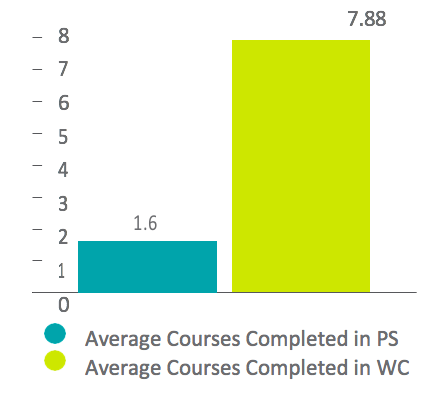 On average, students at Whytecliff complete four times the number of courses they completed at their previous school. 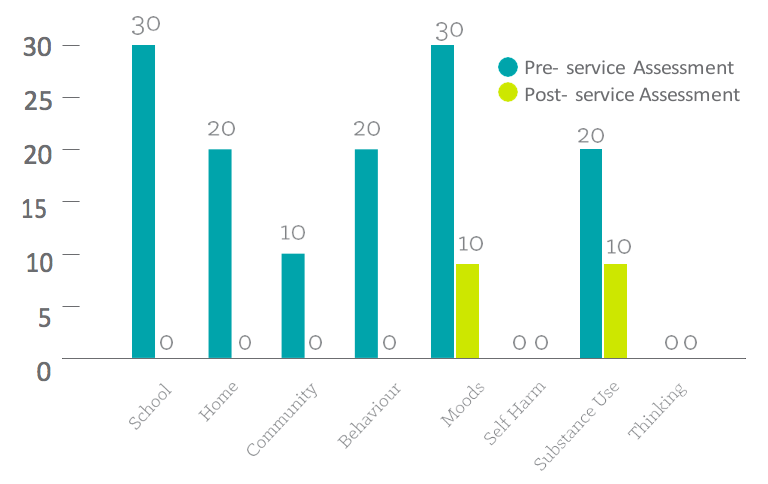 Median CAFAS results Pre and Post confirm the wide range of challenges that children face on entry to the program (across multiple domains) and the remarkable progress in each domain that occurs. While significant drops occur in virtually every domain, mild impairments continue to exist in moods and addictions, which confirms the obvious link. However, even with both of these, Moods dropped by 66% and Addictions by 50%. In August 2017 we were able to contact and follow-up with 42 of the Graduates, who were an average of 3 years out of Whytecliff. The results were remarkable. Only 3 of 42 recent graduating students are looking for work three years after graduation; the remaining 39 were either working, full-time homemakers, or in school. Graduates go on to major universities, colleges, trade school programs, or directly enter the world of work including such professions as real estate.